It’s no secret that baking soda is super versatile. You may use it around your house for cooking or cleaning, or even for treating certain medical issues. But have you ever though about putting it in your hair? Yep, that’s right. Baking soda has some amazing benefits for your hair! You can use it in place of your regular shampoo to give your locks a boost. It’s a safe and affordable product that naturally cleanses and leaves your hair feeling healthy. 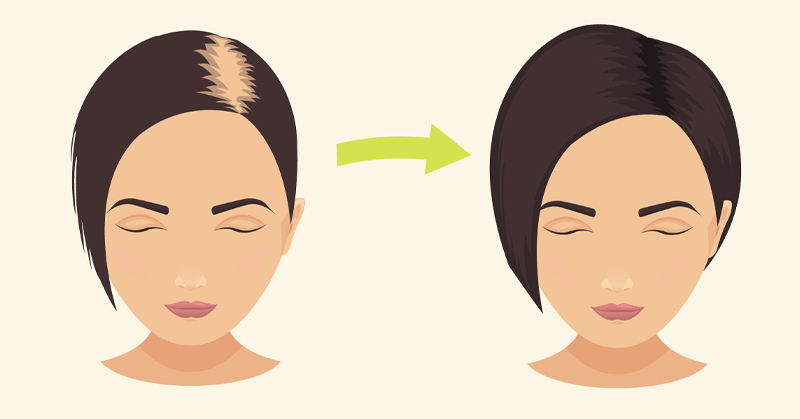 If you’re skeptical, check out some of the benefits of using baking soda on your hair! Mix baking soda and water at a 1 to 3 ratio in a small squeeze bottle. The more hair you have, the more you’ll need. For shoulder-length hair, use 1 tablespoon of baking soda and 6 tablespoons of water. You can use baking soda on dry hair, or you can use it when your hair is wet. Work the mixture in starting at your roots, and move it through to the end of your hair. Let the mix sit for a few minutes, then wash it off using warm water. Rinse your hair with a mixture of apple cider vinegar and water. The ratio should be 1 to 4. Add a few drops of essential oil if you’d like. To apply the apple cider vinegar mix, tilt your head backward to avoid getting apple cider vinegar in your eyes. Baking soda is affordable, safe and chemical-free. It’s the perfect scrub to revitalize your hair, especially when it’s looking a little drab or feeling greasy. Check out the video below for a how-to!